Chances are that when asking for local fare in the Danish capital you end up being pointed at one of the many New Nordic restaurants that have populated the city in the last decade. New Nordic was indeed originated in Denmark, and its subject matter is in fact the very identity of the Danish gastronomy. However (! ), there’s a deeper level of true danish mad. And Schønnemann is where you will find it. 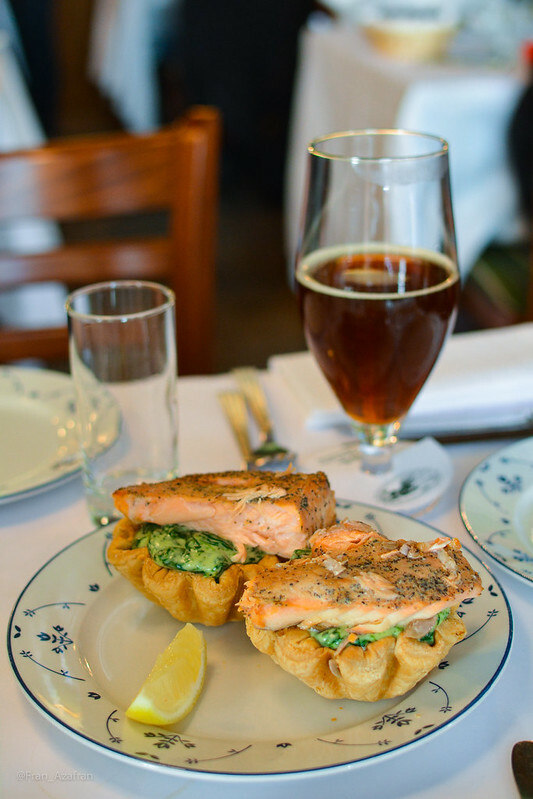 Serving lunch only for almost 140 years – Schønnemann has made countless people happy with feasts of smørrebrød, beer and schnapps. What is smørrebrød? Don’t take mine as an academic definition, but I paint it as a slice of rye exuberantly buttered and topped with whichever animal, plant or both. Up there you see Simon’s favorite – a combo of delicately smoked salmon, creamed spinach and poached eggs. To help you process the smørrebrød and the tartlets (which you definitely should not miss) choose a couple of schnapps from their 140+ selection. Pro tip: Schønnemann is best enjoyed when the diner has a taste for over-eating and over-drinking.